Let the games begin! 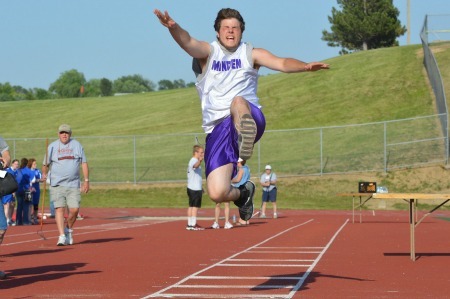 Special Olympics Nebraska is proud to host over 1,500 athletes who have put a year’s worth of hard work and dedication to the test as they compete for the bronze, silver and gold at the 2013 Summer Games! The Special Olympics Nebraska Summer Games are the largest statewide individual event and are scheduled to take place between May 22-25 at Creighton University, Northwest High School and other venues in Omaha. As part of the build-up for the Games, the annual Nebraska Law Enforcement Torch Run will take place May 15-22. The Torch Run involves officials from all levels of law enforcement who carry the “Flame of Hope” to the Summer Games for an inspirational entrance into Opening Ceremonies. For the entire week leading up the start of the Games, officers from throughout the state of Nebraska carry the flame, which traverses numerous Nebraska cities, towns and rural communities on its way to Omaha. Thousands gather along the Torch Run routes to show their support for Special Olympics Nebraska and local law enforcement. Opening Ceremonies will be held at the Sokol Arena at Creighton University on Thursday, May 23rd at 7:30pm. The celebration begins with the Parade of Athletes along with the unicycling family Champions Forever, Rubix Crew dance squad and live music with Lemon Fresh Day. We invite the public to join the celebration! Athletes will compete for victory in track and field, roller skating, aquatics, power lifting, volleyball and gymnastics. For a full schedule of events and venues, visit www.sone.org. In addition to competitive sporting events, Special Olympics Nebraska will be providing Healthy Athlete screenings for our athletes to include Opening Eyes (vision), Special Smiles (dentistry), FUNfitness (physical therapy) and Healthy Hearing (audiology). As an athlete-centered and volunteer driven organization, Special Olympics Nebraska relies on the support of community volunteers, families and fans to make the Games an ongoing success. The Summer Games would not happen without the help of over 500 dedicated volunteers working as scorekeepers, timers and escorts. Special Olympics Nebraska invites you donate your time and affect positive change in someone’s life and enrich your own! Download the full Summer Games schedule here!